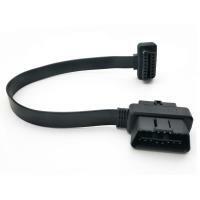 The connecting part of the OBDII male and female pass-thru can be overmolded or assembled. 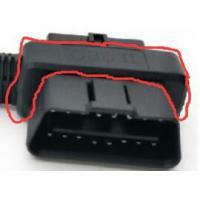 If it is assembled, there are 2 pcs of small top and bottom plastic enclosures and these 2 pcs of plastic enclosures are assembled together after the wires are soldered to the pins. 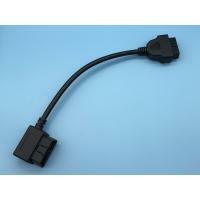 The overmolded PVC injection at the end of 16-Pin OBD2 OBDII female connector is right angle 90-degree. The overmold is with slim design. 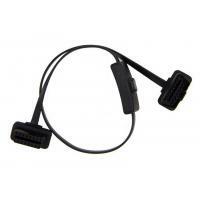 These features can help save some space when connecting and installing IOV or fleet management devices. 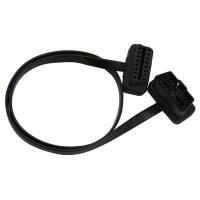 As to this pin out, all 16 pins of the OBD2 male and female connectors are wired, so there are 16 wires of 26AWG in the main cable. 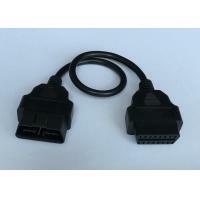 This OBD2 male and female pass-through to female extension cable is used to connect telematics, IoV devices, fleet management devices, OBD2 GPS trackers, OBD2 CAN programming tools, ECU tuning tools or car performance tuning tools to vehicles' 16-Pin OBD2 female diagnostic ports. 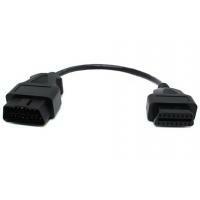 This cable allows port relocation or connection of multiple devices. 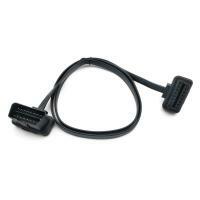 Multiple devices can be connected to the OBD2 female diagnostic port with this cable. 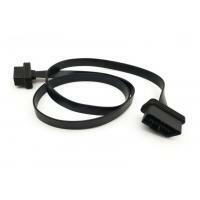 This cable splits the original OBD2 female diagnostic port. 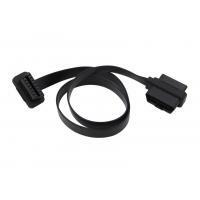 If you haven’t found or don’t have time to look for the OBD2, 9-Pin J1939 or 6-Pin J1708 cables, adapters or connectors in our website, feel free to let us know what OBD2, 9-Pin J1939 or 6-Pin J1708 cables, adapters or connectors you need by sending an inquiry (If you have a picture, please attach it in the inquiry). 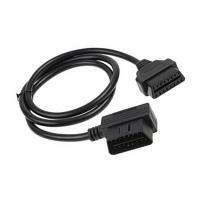 We can also customize any OBD2, 9-Pin J1939 or 6-Pin J1708 cables, adapters or connectors for you.